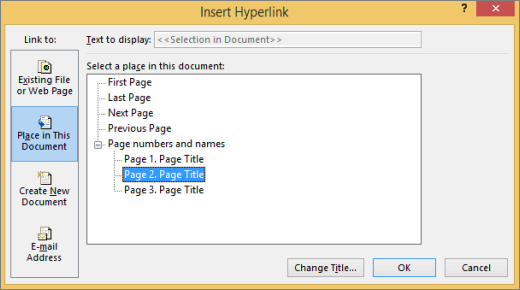 In Publisher, you can create hyperlinks to files, webpages, email addresses, other pages in a web publication, and specific locations on webpages (sometimes called bookmarks) by using the Hyperlink button on the Insert tab. If you don't see the Address box, make sure Existing File or Web Page is selected under Link to. 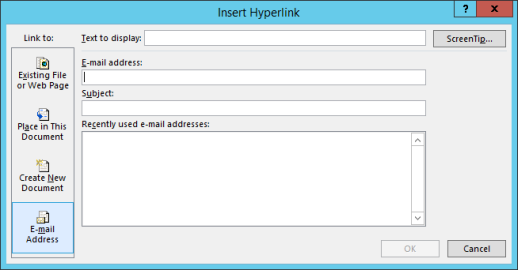 If you don't know the address for your hyperlink, click Browse the Web to locate the URL on the Internet and copy it. Tip: To follow a hyperlink from a web publication before you publish it to the web, hold down CTRL while you click the linked text or picture. 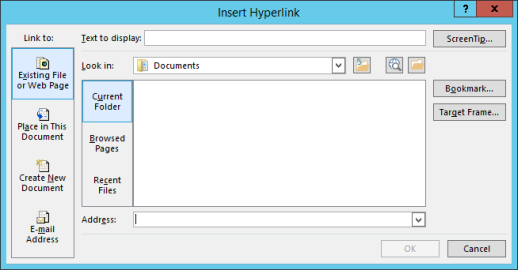 To link to an existing file, click Existing File or Web Page under Link to, and then navigate to the file from the Look in list or the Current Folder list. 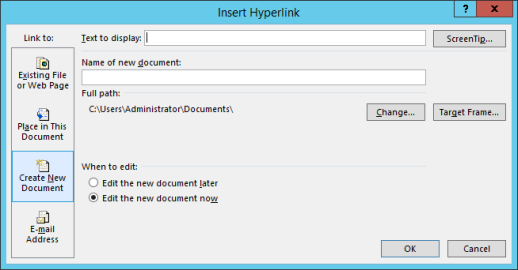 Tip: To follow a hyperlink, hold down CTRL while you click the linked text or picture. Select the page that you want.